Excellent summary! Glendale lacks a comprehensive, long-term development plan that analyzes energy and waste management needs and that offers detailed alternatives with a cost-benefit analysis. For example, the Grayson Repowering Project, the Biogas Regeneration project, (Scholl Landfill power plant), and the proposed anaerobic digestion project for Scholl Landfill are operationally integrated but presented as completely separate processes. Why? If Glendale does have a detailed, overall plan, it has not been clearly presented to the community. Confusion reigns. Thank you for this clear and informative article. There’s cleaner cheaper alternatives to what GWP has pushed. Well done ! While I certainly agree that reciprocating engines are the worst possible choice by GWP for converting Scholl Canyon LFG to energy, I have questions and concerns regarding your proposal to process the LFG to natural gas quality. As I understand it, this technology is best suited for application in situations where a natural gas pipeline is the closest access point for energy distribution since making that connection is a significant cost factor. That is not the case here. Promoting construction of such a facility at the Scholl Canyon Landfill is a non-starter for most Scholl Canyon (where I am a resident) and other near-by residents whose goal is to prevent further industrialization of the landfill and support planning for its eventual closing. This would be a massive installation and require site preparation and infrastructure development similar to that proposed for the power generation project. Which, by the way, will add about $15 million to the cost. There is no mention of the handling of a byproduct of this process, which is CO2. Wouldn’t there have to be a commercial gas distribution system along with the processing facility? The largest component of Scholl Canyon LFG is nitrogen. Awfully tempting to store and distribute that commercially, as well. Some companies even view commercial gases as the most profitable product from this process. So this adds another level of industrialization and truck traffic to the proposal. GWP is a customer of The Gas Co. and I don’t see that changing in the near future, or even long term for that matter. The concept of spending $20 million (well, actually $35 million) to process Scholl LFG to NG, selling it to The Gas Co. and buying it back after a mark-up seems fiscally irresponsible at the very least. This is especially true because Scholl LFG can be converted directly to energy by GWP at Grayson, without processing, via a safe, fully functioning pipeline that carries the cleaned gas there from the landfill. The most promising technologies for converting LFG to energy are micro-turbines and fuel cells. They offer co-generation potential that not only dramatically increases the efficiency of the landfill gas use but whose only emissions are clean heat and hydrogen. Glendale has the opportunity to take a world-leading position in the development of micro-turbine/fuel cell to large-scale gas turbine generators in a ground-up design that would not only result in lower costs but cleaner air, while making GWP eligible to receive SCAQMD reserve offsets for the effort. Hopefully the City will specify this option for study in the RFIs going out for the revised Grayson Repowering Project EIR and it will be included in a new plan. 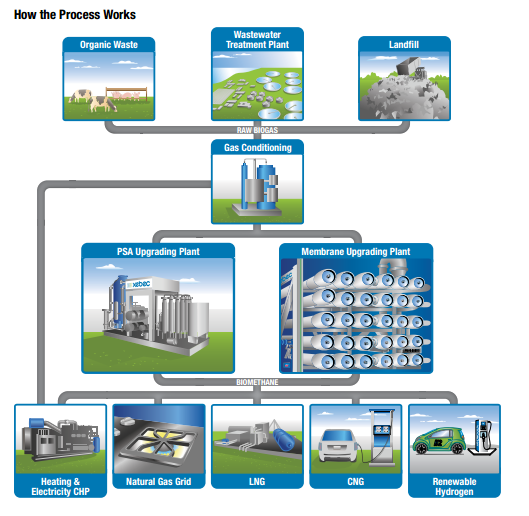 Owen – The landfill gas is already being cleaned and processed somewhat at Scholl. There is currently a cleaning system at Scholl from the 1990’s that cleans the LFG before piping it to Grayson. The old turbines at Grayson that burn the LFG are going away. There is no scenario where these burners will remain past the next 5 years. So, burning the LFG in those burners is no longer an option. Saying that “Scholl LFG can be converted directly to energy by GWP at Grayson, without processing” is just not true. In order to use the LFG in a micro-turbine/fuel cell or burned at any new generator at Grayson the LFG has to be cleaned even further than it is today. I suppose it could be cleaned even further at Grayson, but it would still have to have some cleaning at Scholl in order to not corrode the pipe to Grayson. It would be hard to justify two cleaning facilities (but here’s one argument to explore – I think that the GWP/LADWP wastewater treatment plant in Atwater produces biogas that could be sent to a 2nd stage cleaning plant at Grayson). 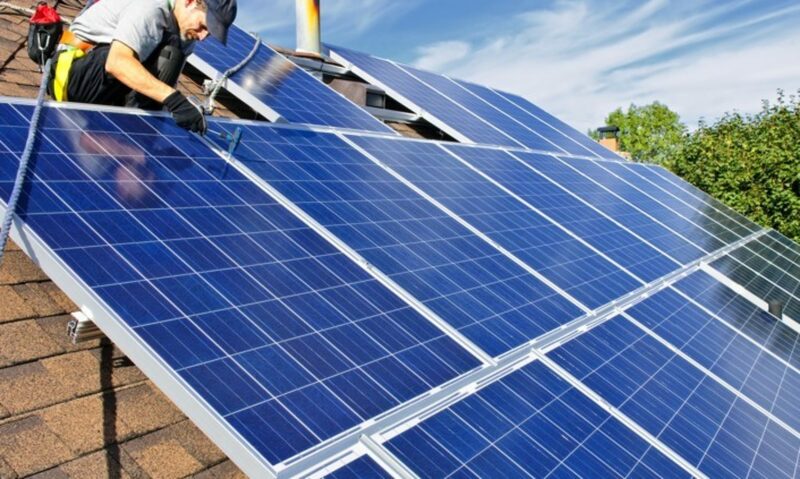 Glendale does have the opportunity to be a leader in clean energy and with citizen input like yours and mine we can help them realize that there are real viable alternatives to business as usual. Nothing in the literature I saw talked about the need for a “commercial gas distribution system” for a LFG-to-pipeline treatment system. Fuel cells and microturbines do produce pollution, although much less than generators (see the specs for this fuel cell: https://www.bloomenergy.com/sites/default/files/es5-300kw-datasheet.pdf & this microturbine https://www.capstoneturbine.com/products/c200). It seems that producing hydrogen is a design option as the hydrogen is normally converted to electricity so any produced hydrogen reduces system efficiency. As I understand the common carrier provision of pipelines is that GWP can use the SoCalGas pipe as a carrier and only pay a carrier fee (and a very large initial connection fee which is another story). Laying pipe to connect to the SoCalGas pipe is not expensive. I’m not sure where that extra $15 million came from. I looked at costs for similar sized plants around the county. Maybe there is a cost for removing the existing cleaning equipment but I doubt it would be $1 million much less 15. Maybe there is more in the “infrastructure development” you mention than I am aware? Thanks to everyone participating in the flow of research and ideas, (which I must admit most are over my head). I think the point we all can agree on is, that an independent EIR should be done for Scholl Canyon to explore alternatives . GWP needs to do a comprehensive plan that includes the combined environmental effects of both proposed plants. I think we may be getting into the weeds a bit over terminology, Burt. Yes, Scholl LFG is cleaned at the landfill. Never said it wasn’t. The gas is chilled to remove water, ammonia and other liquefied contaminants. I do not believe any processing (separation of gases) is done anywhere. It is appropriate, even essential, that the gas is cleaned prior to being pumped down the pipeline to Grayson, which is made of high density polyethylene and has been transporting gas, on-and-off, for decades. I know for a fact that the gas currently in the pipeline can be burned in a micro-turbine without further processing at Grayson. However, the gas conditioning (cleaning) equipment, and maybe the compressors, at Scholl probably need to be replaced/updated and I believe this is part of the City’s Scholl Power Project proposal. There is no sulfur in Scholl LFG. I never suggested that the boilers at Grayson would or should remain or that they could be used in the future, nor even that Unit #9 should be retrofitted. There will be some amount of new, large-scale, gas-fired power generation at Grayson. The opportunity here is to design CHP (combined heat and power or co-generation), systems utilizing the oxygen-rich, waste heat from micro-turbines and/or fuel cells, powered by LFG, to pre-heat the intake air of large gas-fired turbines thereby increasing their efficiency, reducing emissions and lowering fuel costs. Back to your LFG to NG process: Scholl LFG is 25% CO2. What do you think will happen to it when it is removed to concentrate the methane from 30% to at least 80%? Same thing with nitrogen but it is not a greenhouse gas. My argument still stands: It makes absolutely no sense to spend millions of dollars to process gas to sell to the Gas Co. and then buy it right back when it can be processed directly into energy by GWP, whether at Scholl or Grayson. The $15 million is the figure GWP has in the Grayson budget for site preparation, including fire suppression systems, and construction for the Scholl Power Project. Any LFG to NG system that processes 6,000 scfm is going to be very large and require almost identical infrastructure. One other thing. What do you do with this $20 million worth of equipment when the LFG stops flowing, or contains so little methane that it’s not feasible to continue processing it (it’s already at the very low end of acceptable methane concentration for conversion at only 30%). Nothing, that’s what. Micro-turbines and fuel cells can simply boost the natural gas supply on the intake side when LFG methane concentration slides and continue providing all the benefits of CHP at Grayson. It should be noted that Scholl LFG has been providing the equivalent of about 8MW of power when burned in a Grayson boiler. The reciprocating engine power generation sets proposed for Scholl can produce up to 12MW. Micro-turbines can generate about 10MW from Scholl LFG in a stand-alone configuration at about 30-35% efficiency. When CHP is factored-in their efficiency goes up to 90-95% which equates to nearly 30MW. The Department of Energy is offering technical assistance for large-scale industrial development and installation of CHP, a technology they heavily promote. I suspect they would be very interested in supporting a project of this magnitude. It may be the largest CHP project ever considered with massive benefits for the public. This is a feasible only because Glendale is in the unique position of having an existing pipeline connecting a landfill to a large-scale power plant with plans in the works to re-design the entire system. It’s a once-in-a-lifetime opportunity for Glendale to assume a lead role in implementing green technology, dramatically lower total emissions and save money. Regardless, as I mentioned before, any proposal that includes the further industrialization of Scholl Canyon Landfill will be met with fierce opposition from surrounding residents. Owen, maybe I wasn’t clear – the main point of the article is that GWP hasn’t looked at all the viable alternatives. In fact, they don’t seem to be aware that some alternatives exist. LFG-to-pipeline is *one* alternative that is viable. I didn’t mean to say it’s the only alternative, the best alternative, or even an alternative that the community supports. I’m just trying to demonstrate that GWP hasn’t looked beyond 1990’s solutions. 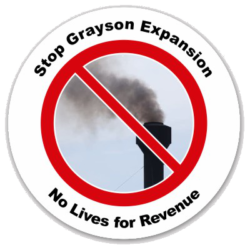 Please provide some supporting evidence of this statement: “I know for a fact that the gas currently in the pipeline can be burned in a micro-turbine without further processing at Grayson.” I’d be happy to write an article about microturbines if this is true. From what I have read, the gas isn’t currently clean enough. From what I understand, and you seem to agree, the gas has to be further cleaned from it’s current state for any conversion to electricity. I’d even say we should clean it of all the contaminants before burning it in reciprocating engines if only to keep all the dioxins, etc out of the air. You say “So they [the contaminants] must be removed and it should be done with new, combined conditioning equipment at Scholl.” That describes the LFG-to-pipeline plant I mentioned in the location I suggested. So, I’m confused as to your position. Full LFG treatment at Scholl, partial treatment, or no treatment? I don’t mean this sarcastically. If we can all agree on a solution or a range of solutions then we can present it/them as a united front to the city. Do you have links to the DOE technical assistance offer? Let’s not keep going back and forth on here – let’s meet for lunch or something and find areas of agreement and go forward from there. Also, if you want to write up an article about microturbines or biogas CHP, I’d be happy to post it on this website under your byline. Yes, it is painfully clear that GWP has not looked at alternatives to early 20th century, polluting, piston engine technology . They see it as a tried-and-true, reliable solution to their LFG problem. To be fair, micro-turbine, fuel-cell and CHP technology have come a long way since they first considered re-powering Grayson, but they don’t really care about emissions at the landfill, anyway. More on that at another time. Micro-turbine technology is promoted as one of the solutions for LFG to electric energy projects throughout the world and many installations are functioning now. Beyond that, I have submitted an analysis of the gas in the Scholl-to-Grayson pipeline to a major manufacturer’s representative. He confirmed that their products would have no problem using Scholl LFG as fuel. As I mentioned, at 30% methane, this gas is at the very low end of the concentration necessary for combustion. There are two major manufacturers serving southern California, as far as I have been able to ascertain. One of them claims to be able to burn LFG at that concentration (their low limit) and the other would require a 10 % natural gas addition to the fuel stream. Since the methane level in Scholl LFG may drop below 30% at times, a natural gas fuel supplement is needed anyway. The other major contaminant, besides water and other liquids, that must be removed for combustion is sulfur, in the form of sulfides. I do not have an analysis of raw Scholl LFG but I suspect that sulfides are removed in the conditioning process at Scholl because there are none in the pipeline gas. Again, seems like we are in the weeds over terminology – “treatment” is a little too vague. Yes, Scholl LFG is “conditioned” at the landfill. If you look at the diagram you posted, LFG is “conditioned” prior to being sent to the much larger upgrading plants, where oxygen and nitrogen are separated from the gas to attain an 80% concentration of methane to make it meet natural gas standards. These upgrading plants or “separators” are what cost $20 million. Micro-turbines and fuel-cells do not need natural gas concentrations; that’s what makes them attractive as LFG to energy solutions. But, if the current gas conditioning/compressor system needs to be replaced, which I believe its does, then a NMOC removal process should be included. Unconditioned LFG cannot be pumped down a five-mile-long pipeline. I would love to meet for lunch. I believe there are solutions here that benefit the residents of Glendale, the City budget and the planet. We are at a critical moment in the City’s review of plans for a new power plant. Only if GWP revises the Grayson Repowering Project EIR to include the development of the free CHP potential of Scholl LFG at Grayson can we achieve the efficiencies and lower emissions available to us.